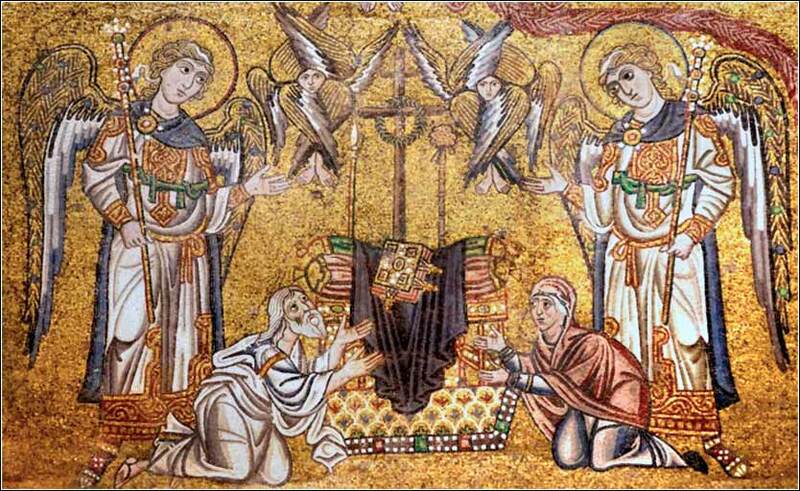 The Last Judgment, 6th century mosaic in Sant'Apollinare Nuovo, Ravenna, Italy. 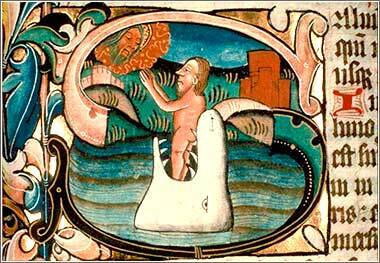 An illustration of Jonah emerging from the mouth of a great fish, from the Ranworth Antiphoner (a sort of liturgical hymnal), English, ca. 1480. Preach the gospel every day; if necessary, use words. “O Jerusalem, Jerusalem, the city that kills the prophets and stones those who are sent to it! How often would I have gathered your children together as a hen gathers her brood under her wings, and you were not willing! See, your house is left to you desolate. If you look at Matthew 23 from beginning to end, this final section shows a definite change in tone. Christ has been chastising the Pharisees in the harshest possible language; but He does not sound angry here. He sounds wistful; He is sorry about something. O my son, Absalom, my son, my son Absalom! In the section just before today's passage, Matthew 23:29-36, Christ condemned the Pharisees, holding them guilty for the murder of God's prophets centuries before, calling them “snakes and vipers” and asking how they expect to escape hell. And yet, despite all that, He cannot help but let His love show for them. Christ does not want anyone to go to hell for their sins, even the worst of sinners: the Pharisees and their colleagues, who had spilled the blood of the prophets, who had killed God's very messengers and would soon kill Christ himself. Then, He speaks as Christ again. He follows “your house is left to you desolate” with the words for “you will not see me again until . . .” This can only mean one thing. He is the new Temple. God's “temple”, the place where the salvation of humanity dwells, is changing from a building in Jerusalem to the body of God made man, Jesus Christ. Both of them will be “torn down”, but Christ's body will rise again and then leave Jerusalem. And the Jews — like everyone else — will not see the Temple again until Christ's second coming.